DeLorme, who produced the inReach Explorer was acquired by Garmin. The inReach Explorer is now sold by Garmen. Some details in this review may be out of date. 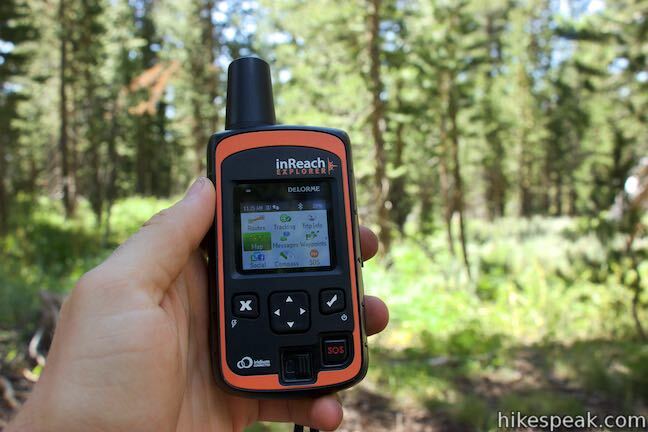 The inReach Explorer is a handy device for backcountry travelers. The Explorer is an SOS beacon, a global satellite communicator, and a full-function GPS navigator all in one. The SOS function (which with any luck you won’t have to use) puts you in touch with emergency services. Other device features will enhance the rest of your trip. Because it’s a navigator, you can follow pre-drawn routes and drop waypoints. Because it’s a communicator, you can share that information with others in a really cool way – with real-time updates to the world wide web. Family and friends can follow your journey on an online map and stay in touch when you might otherwise be out of reach, with text messages sent to and from the communicator. For one more layer of convenience, the inReach Explorer pairs with your smartphone, bringing the functionality of the device to your favorite touch screen. Your main reason to buy this satellite communicator may be for the SOS capability, which allows you to contact emergency responders should you encounter an emergency. 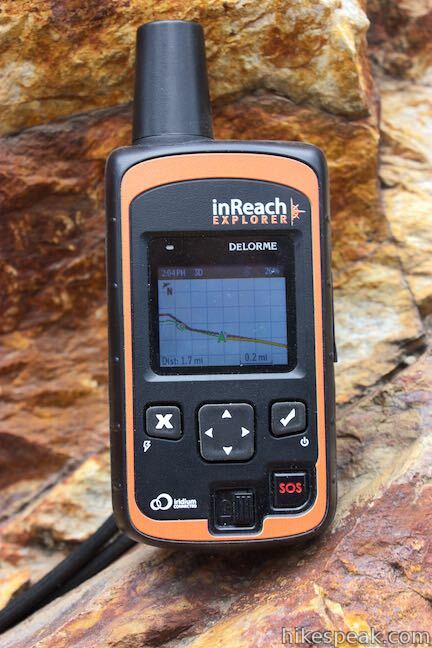 The inReach Explorer comes with 24/7 contact to a search and rescue monitoring center. At the bottom of the device is an SOS switch that is usually turned off. Switch it on when needed it and and you can hold down the SOS button to send a distress message to the search and rescue monitoring center. You’ll be able to send and receive messages with the response center as they help get aid from the appropriate emergency responders to your exact location. 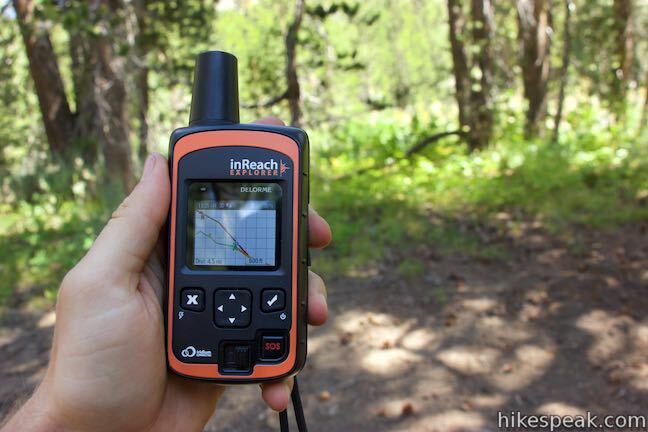 The inReach Explorer is much more than a rescue beacon. On the navigator side, there’s GPS, a digital compass, and a barometric altimeter. You can view this data on the device itself or through an installed app on your iPhone or Android device. The Earthmate app allows you to quickly access device information right from your phone (when its easily paired to the Explorer via Bluetooth). The app comes with detailed maps that you can use to view your location. Set up a route before you depart, and the navigator can follow it, offering an estimate of how much farther you have to go. You can use the Explorer to send text messages to people when you don’t have cell service. Either add contacts to the device itself, or use the Earthmate app to access contacts on your phone and send messages just as easily as you would send standard text messages. The device comes with several common preset messages that are easy to send. Before your trip, you can even reprogram these preset messages to things you’re more likely to use. Preset messages allow you to communicate quickly and easily without typing out custom texts (that fall under a different section of the device’s usage plan). If you’re big on social media, you can actually configure the inReach Explorer to post messages to your Facebook and Twitter accounts, although you may not want to stay that connected during your off-the-grid excursion. #unplug! The combination of communicator and navigator features makes the inReach Explorer a very handy device. It comes with a web-based tool called MapShare that is great for keeping in touch with the outside world. Set up a MapShare page for your device and you can provide peace of mind to friends and family checking from home. MapShare gives your fans and followers a chance to share your adventure and see that you’re OK. Send the unique URL of the MapShare page linked to your device to anyone you want to be able to send messages and track your movements on an online map. You can choose to update this map with new waypoints every few minutes or every few hours. Additionally, you can post messages from the communicator to the MapShare, like “setting up camp,” that will show up at the correct location on the map. 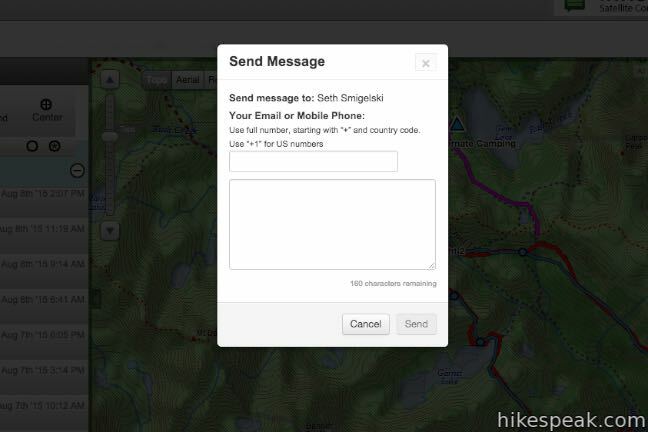 Folks with access to your MapShare page can send you messages from the webpage that will show up on your communicator. If you reply to these messages, they will go right to the person’s cell phone. One unexpected perk of the MapShare is that people following from afar can send encouraging messages like “you’re almost there” when you need a boost during that longer-than-it-should-be mile at the end of your journey. 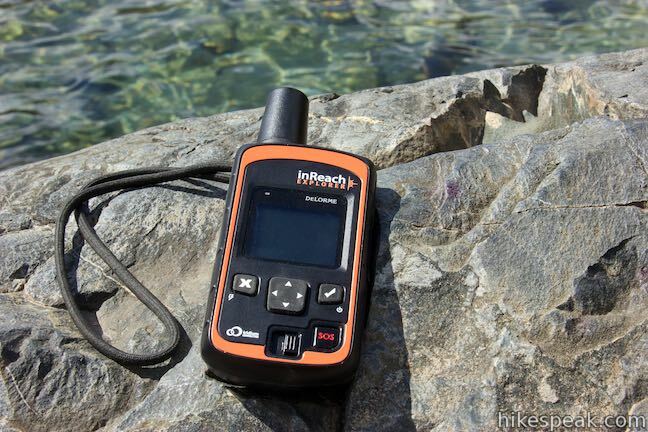 The inReach Explorer is a high-end communicator that delivers a lot for the price. It retails for around $380 and requires a service agreement akin to a mobile carrier. You can choose between an annual contract with lower monthly rates or a “freedom plan” that’s paid one month at a time as needed. This may be a better solution for people that are only using the communicator a few months of the year. Annual plans range from $12 to $80 per month, including a $25 per month “Recreation Plan” that will provide suitable usage for most users. The by-the-month plans range in price from $15 to $100. The Recreation Plan is $35 per month when paying by the month. This plan includes Unlimited SOS, 40 text messages, unlimited preset messages, and unlimited 10-minute tracking. The entry level “Safety Plan” includes unlimited SOS, 10 text messages, and unlimited preset messages (pay per tracking point is an extra charge). Additional fees may apply. Out of the box, there are a few steps for activating and personalizing your device. Don’t worry – you can get it all done during one episode of television. The first step is to power on the communicator and get an IMEI number and an authorization code to register the device online and activate the service plan of your choice. After you register your information and create a login, you’ll be ready to step outside and put your device to use for the first time. Find a GPS signal and activate the communicator. You’ll receive a test message that lets you know you can get ready for your journey. Before you depart, consider using your online account to create a route map that you can add to the MapShare page and sync to your communicator. 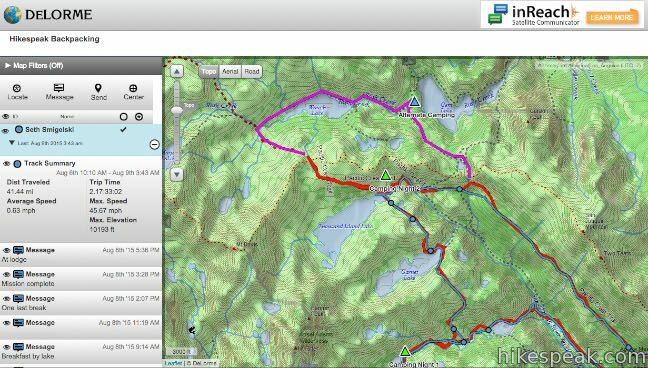 Share a link to your MapShare page with others before your trip (the page can be password protected or left open) so that people can see where you are and send messages. 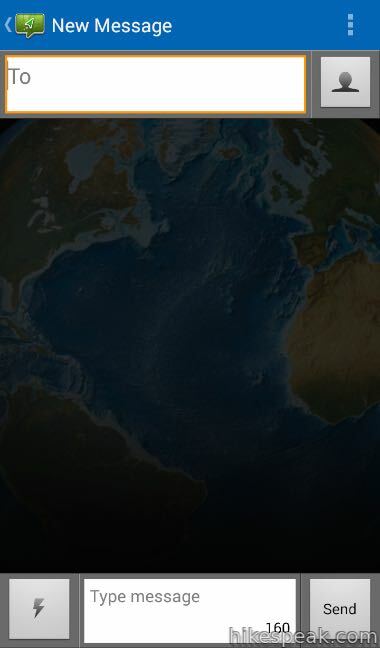 Download the Earthshare App on your iPhone or Android to get even more out of your device like maps and navigation data on your phone along with access to your contacts for sending messages. When it is connected through Bluetooth, you can use your phone to send messages from the communicator. 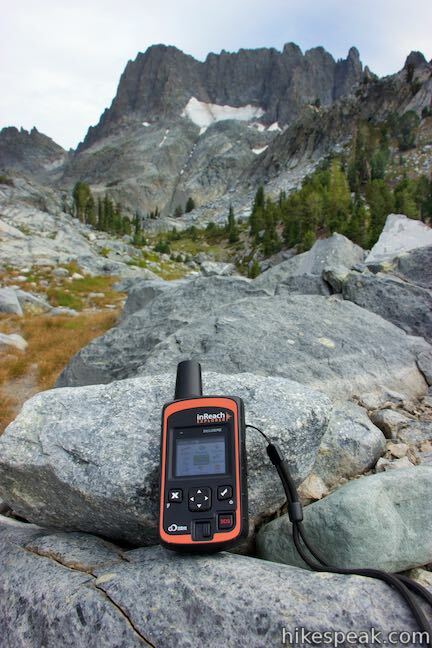 The inReach Explorer is built for the outdoors, so it is rugged, impact-resistant, water-resistant, and dustproof. The communicator has a Micro-USB port that is used to charge and sync the device (syncing is done through a web application). The device weighs 6.7 ounces. The height of the body is 4.5 inches and the total height is 5.83 inches when you include the beefy antenna. The device is 2.46 inches wide and 1.04 inches deep. The included hip-clip adds to the depth of the communicator, but you can use the lanyard instead to keep the device secure. The battery is robust, with 100 hours of battery life in 10-minute tracking mode. In a field test of three days of liberal use, the battery still had juice left at the end of the trek. You can suspend tracking or use a USB charger to extend the life of the communicator even farther. The user interface on the inReach Explorer is similar to other non-touch screen devices. It has a few buttons that are intuitive for navigating menus and sending brief or pre-typed messages. The buttons are simple to use, but if you’re accustomed to a touch screen, the process will feel slower than the UI on your phone. The device’s usability gets a major bump from the ability to sync it to your smartphone. Assuming you plan to carry a cell phone too, pairing your phone with the device gives you a second way to interact with the communicator. The Earthmate app made for DeLorme devices offers great access from your phone. The Earthmate app will show your location on the bigger, easier-to-use screen of your phone on top of detailed maps. The app pairs easily via Bluetooth and gives you easy access to your contacts for sending messages. 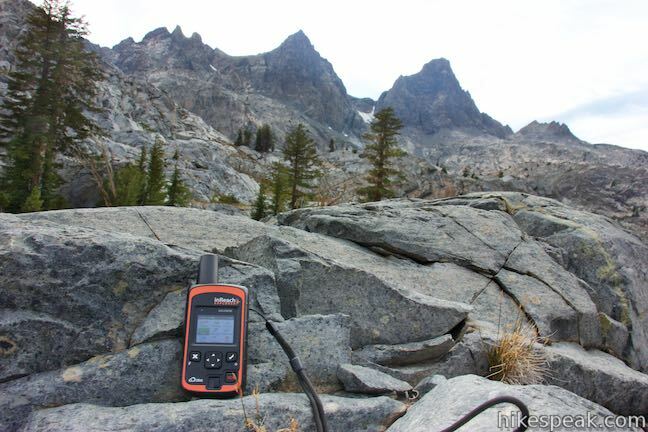 The inReach Explorer is loaded with features and accompanied by useful software, making it a great device for those that travel outdoors and off the grid. 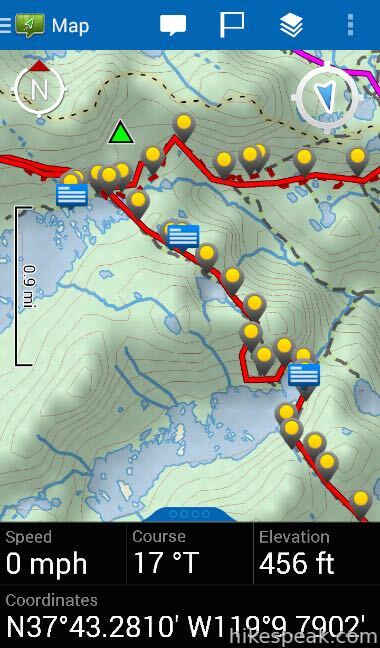 Having this level of connectivity in the backcountry is an impressive feat and the device comes with a service plan that’s on par with a mobile phone plan. The price may be too high for those who would only use the device occasionally. If you’re the type that will use the Explorer frequently, it could definitely be of value, particularly if you end up in a rescue situation. Hikers are responsible for their own safety in the backcountry. Do not use communicators as a justification for taking additional risks. Make safe decisions, whether you carry a communicator or not. When used responsibly, safety beacons are a fantastic resource. I have used my InReach for several years and never had any significant problem. I’ve had an issue where I was charged for a few messages that I didn’t realize I would be charged for but it turned out to be operator error. The customer service has been great for me. The pricing structure also works well for me. I simply pay $25 per year and then $15 for 30 days whenever I activate it. I probably activate it 3 times a year so I pay about $45 for 90 days of usage annually to activate. Compared to the alternatives that is fairly cheap. We just call it cheap insurance. I spend another $10 a year on tracking points and messages. On one occasion it really saved us. We had to be rescued after hiking 30 miles only to discover that we didn’t have the keys to the car that was left and the end of the through hike. Correction- they did have to credit me once for a few messages that I should not have been charged for. They were gracious about it and easy to work with.